A FREE, inspiring, positive energy art event for tourists and the community of beautiful Savannah, Georgia! Explore Savannah's Historic Downtown by visiting Artists and Galleries during Savannah Art Walk the second Saturday of the month! Not here for the actual event? Create your own Art Walk utilizing our downloadable map, or, pick up a map at one of our participating Galleries! Savannah Art Walk is your guide to our thriving art scene in Savannah, Georgia! Come and see why Visit Savannah named Savannah Art Walk the Number One Art Event in our magical city! Spanish moss, breathtaking architecture, and elegant squares are the background for your walking journey to the Galleries... 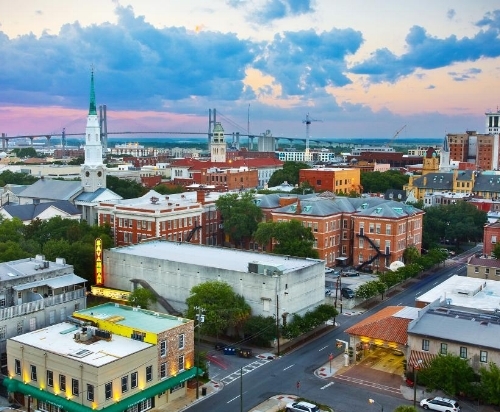 Experience Savannah through the art and culture of the city! Join us for our Savannah Art Walk and see why Visit Savannah named us the Number One Art event of Savannah! 2:00 Welcome Reception where you will receive your map and meet some of our sponsoring Artists! Art Walk until 6:00, where you will meet us atThe DeSoto Hotel for more complimentary beverages and our raffle of art and prizes! Talk with our talented Savannah Art Walk Artists, see them work, and hear their inspiring stories. All galleries warmly welcome our Savannah Art Walk visitors! Spend $20.00, or more, at any of our participating Galleries and receive a raffle ticket at our 6:00 After Party at The DeSoto Hotel! Enter to win original art, prints, and jewelry donated by our Galleries! Thank you and see you on Second Saturday of the Month!